What a monster of a set! When this set hit shelves in 2015, it was one of the larger boxes, and drew quite a crowd, with the plethora of inclusions, perfect for a kick-start to any City layout. 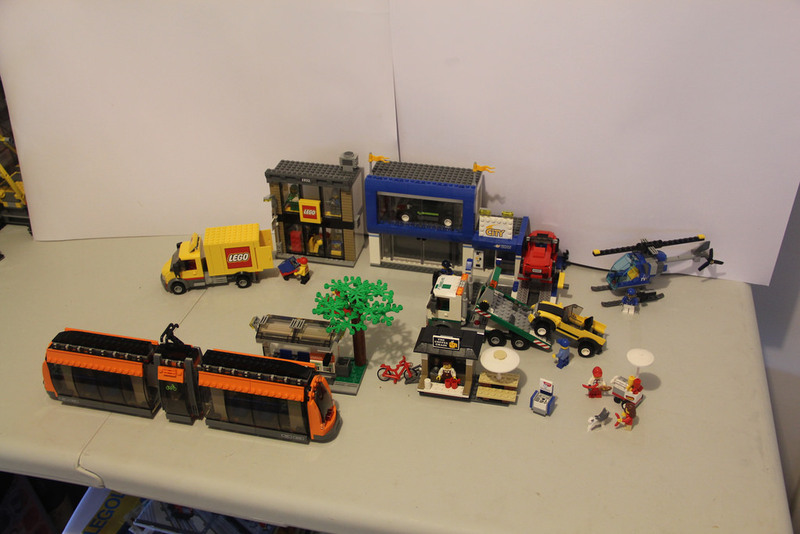 There’s a whopping 14 minifigures, three cars, two tucks, a motorbike, two major stores, a coffee stand, a tram station, a tram, and a helicopter! 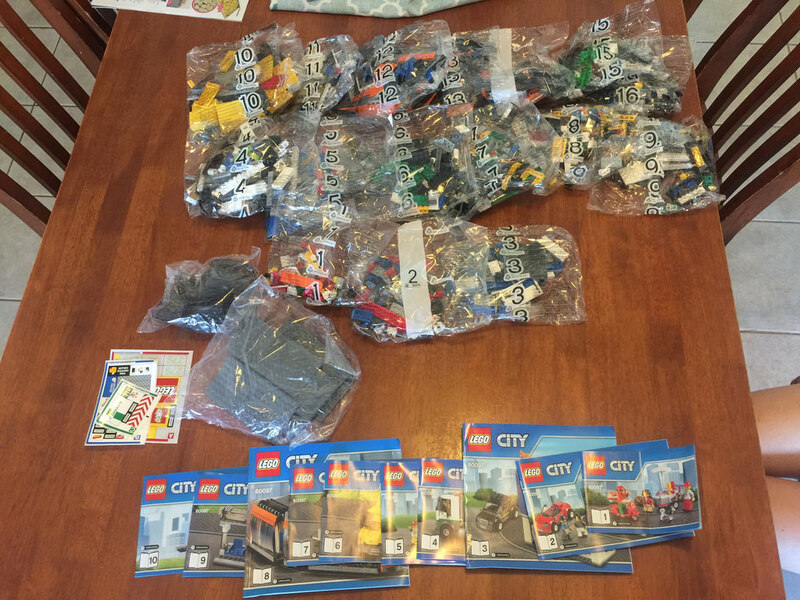 After opening the massive box, you’ll see 16 numbered bags, two un-numbered parts bags, three sticker sheets with 54 stickers in total, and 10 instruction booklets, one for each model. 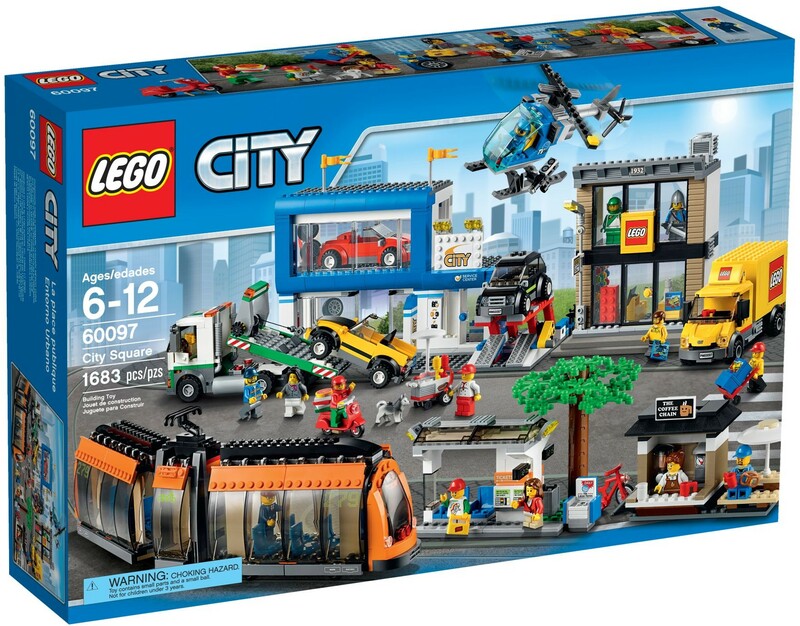 I bought mine cheaper in LEGOLAND Malaysia, and unfortunately I couldn’t get the box home intact, so i ditched the box and went for a plastic bag instead, so no photo of the box this time! It’ll have to be a stock one. Also, apologies for the quality of some of the photos – the set is so huge, it’s too big for my photography setup! Chef – not the standard chef, he’s got red pants and a red cap. He’s more of a hot-dog vendor than a chef, but he’s close! Girl with red hoodie – I’m a big fan of this style of hair, so happy with her. Pizza Delivery Guy – he looks excellent! I love the torso, and it’s a new addition. KFOL – The torso on this kid is brilliant! An excellent nod to Classic Space. It’s not new, it’s in more than 10 other sets, of which I’ve got around five, but it’s always great to have another. 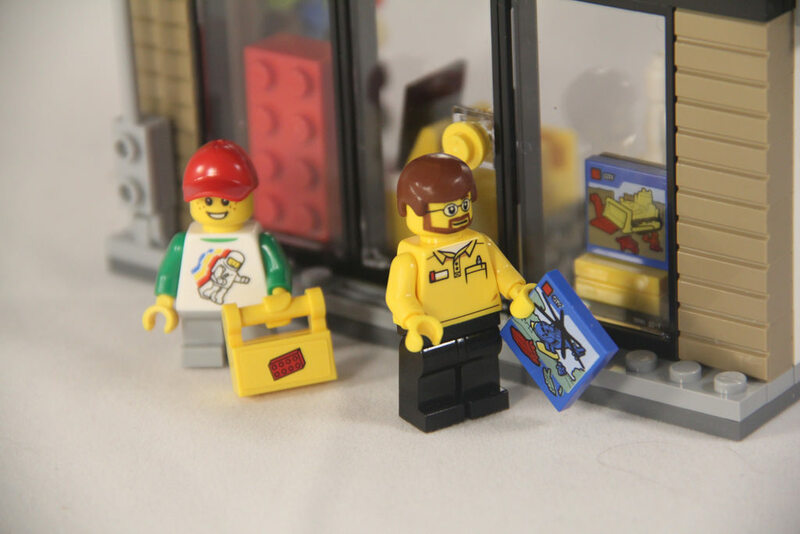 LEGO Store Employees – there’s the store manager and the driver. These are fantastic. The torso is a new addition as well, with a LEGO logo printed on the back. Barista – I’m super excited about the female barista. Now I’ve got a male and female team! 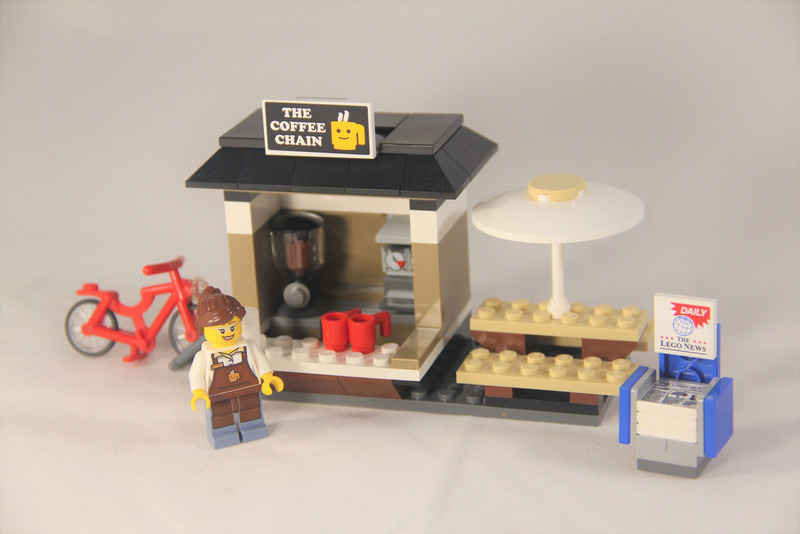 Her torso and legs are new as well, as the previous barista (from The LEGO Movie CMFs) had a name tag – Larry, and a few order slips in his pocket. 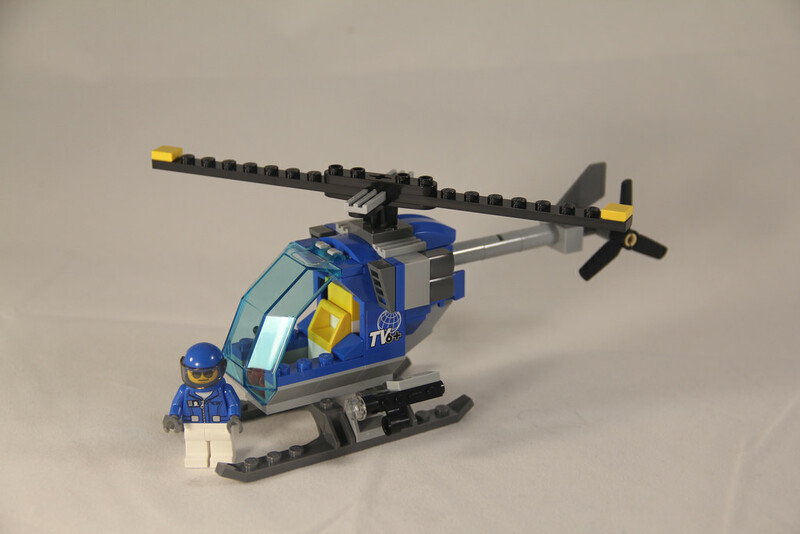 Helicopter pilot – The torso is new for 2015, also seen in a Deep Sea Explorers set, but a nice inclusion nonetheless. Astronaut statue – a brand new Space torso? Yes please! Knight statue – and a knight? Excellent! Tram driver – not the first time we’ve seen this combo. I’m really impressed with these minifigures. It’s fantastic to have so many, and even better that many of them aren’t the standard City set inclusions. 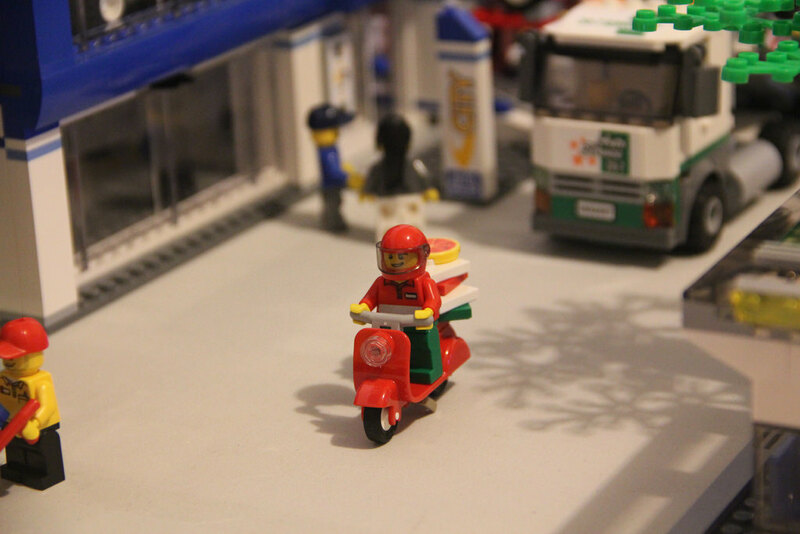 Sorry, no single photo of all the minifigures – I was having too much fun building the set! There’s photos of them all down below. There’s a large number of parts that have been seen before, but are very rare – only appearing in less than five sets. There are too many to list here, but interesting inclusions are the bright orange semicircle plate, used in the ends of the tram, the yellow wall panels in the LEGO truck, the green oxygen cylinders and helmet – common moulds, but green is only seen here, and in 21109: Exo-Suit set from LEGO Ideas – still one of my favourite sets. There’s also a white microfigure statue, and the tram’s electric line connector, which I’ve never come across before, called a 1×4 pantograph plate. There’s so many fascinating parts in this set, I could go on forever, but I’ll stop. Let’s take a look at the next category. City sets are always created with swooshability in mind. After all, it’s a toy! 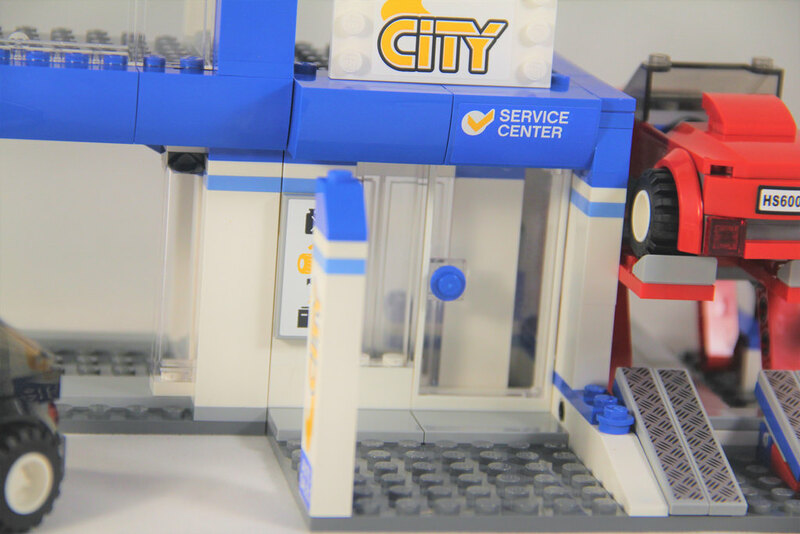 With most City sets, there’s one main feature model, with a few smaller supporting models, that interact with each other in a couple of ways. This one, however, goes all out. With so many models within this set, there’s a plethora of things to do. 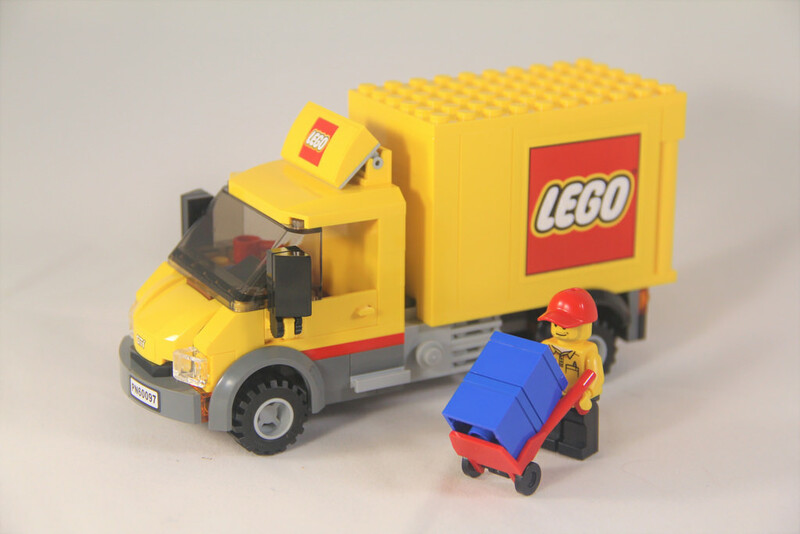 Delivering pizzas, fixing cars, selling cars, riding the tram, delivering LEGO, selling and buying LEGO, flying a helicopter, selling and buying coffee, towing cars, the list goes on and on and on. No kid (or adult for that matter) is going to be bored with this set. Sure, some of the play features aren’t very sophisticated mechanically speaking, but that doesn’t matter. There’s loads to do. As I said earlier, for each model, there’s an instruction booklet. I could go into each in detail, but for the sake of people’s sanity, I’ll pick a few things out that I liked and didn’t like. That said, most of the build process is the standard bricks on bricks, studs on top process. There’s enough SNOT building to make it interesting, and a few models I really enjoyed building, and are planning on modifying and expanding further. All in all, the build process will take around five hours. I worked on a few models a night, so spread out the fun over a week. It was a great way to do it. The first one I want to mention is the pizza delivery bike. The build seems simple, but both my wife and I found the instructions a little misleading, as the stack of pizza boxes, when constructed according to the instructions, doesn’t match the image. We found it difficult to determine if the studs were meant to be in a corner, or in the middle of the tiles. 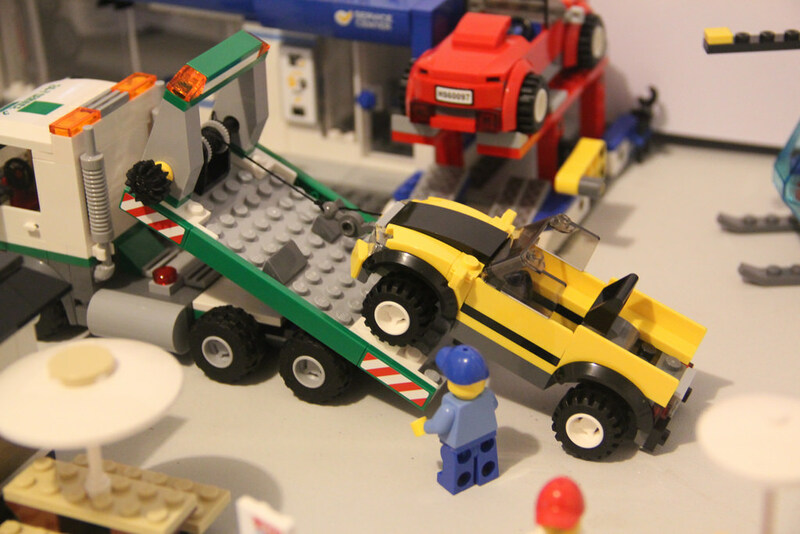 I also enjoyed building the tow truck – it’s always good to get more winches. The LEGO Shop is excellent, but the Pick-A-Brick wall was very fiddly, especially if you want the model and the colour order on the instructions to match. The tram was very repetitive, as the two ends are symmetrical. It’s excellent that they are, but it does make for a repetitive build. The saving grace is that there’s so much extra to construct, the repetitive nature is soon forgotten. The major downside to this set is the amount of stickers. There are so many! Yes, it adds to the overall detail and realism, but if you aren’t a sticker fan (there’s not too many fans), or aren’t very good at applying them, this set will frustrate you from time to time. 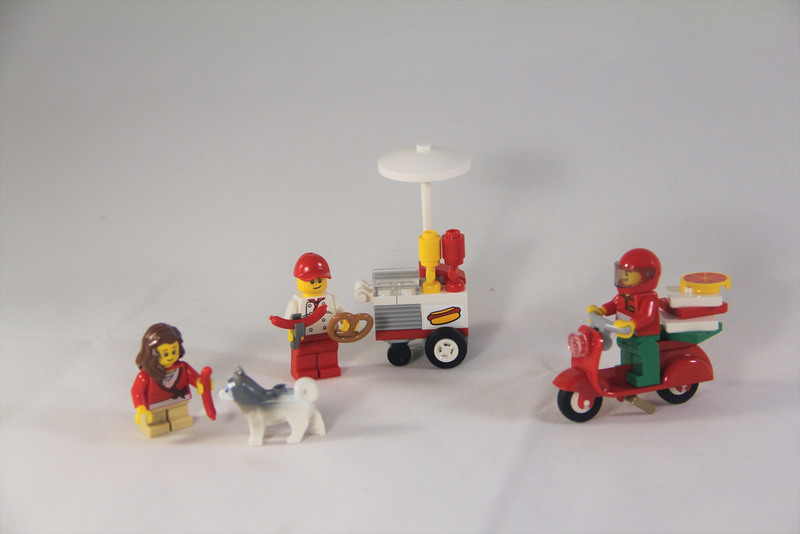 The Pizza delivery bike and hot-dog stand are the simplest of the builds, and they looks excellent. 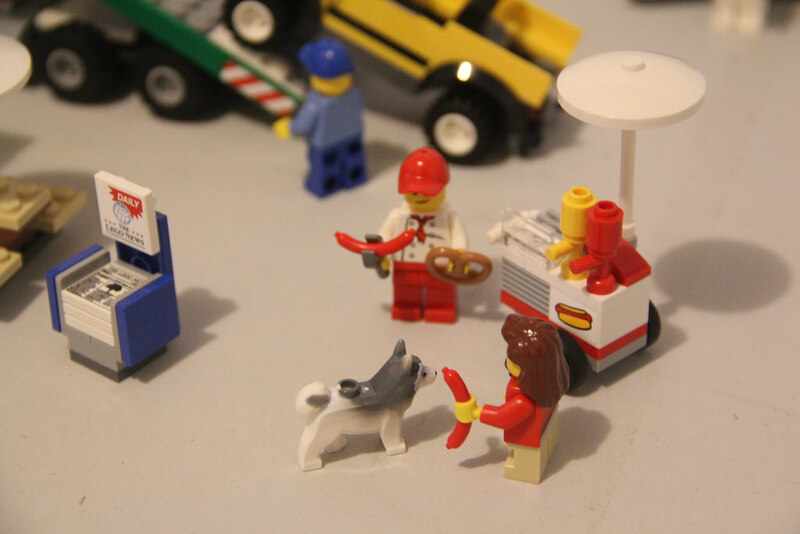 I’m not sure why there’s only one side stickered on the hot-dog stand though, that’s strange. ​The mechanic and car showroom are good, but there’s a few problems. When the sliding door (an excellent design feature) is opened, the right one opens directly in front of the door to the mechanic, blocking the way. It’s a huge oversight on the part of the designer. Secondly, it’s great that there’s little tyre stands on each floor, but it means that a window has to be sacrificed, which is a shame. Aside from that, I like it. The blue frame at the front is eye-catching, and the mechanic is simple, but fun. I’m planning on expanding this section, so it will be fun to see what I come up with, but it’s a great start. 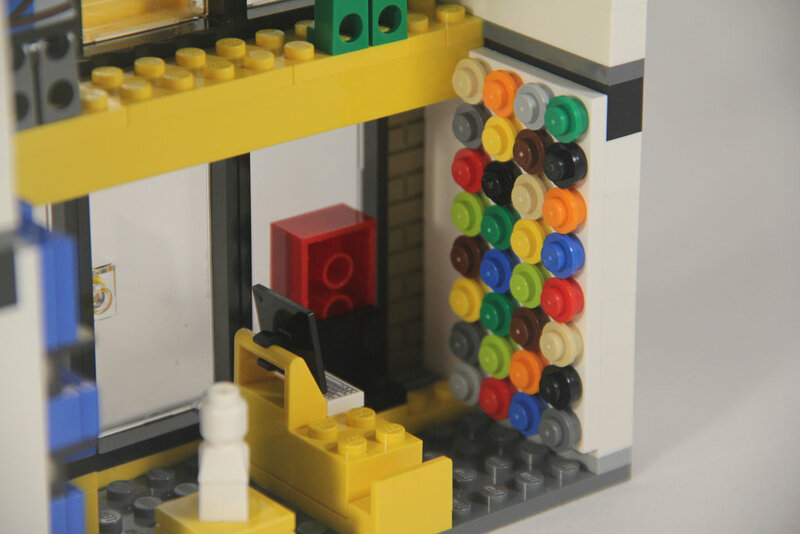 The LEGO Shop is my favourite part of the build, and I suspect I’m not the only one that thinks this. The interior details are fantastic, as well as the front, although I’d have preferred the profile bricks to be rotated so the brick side was displayed. 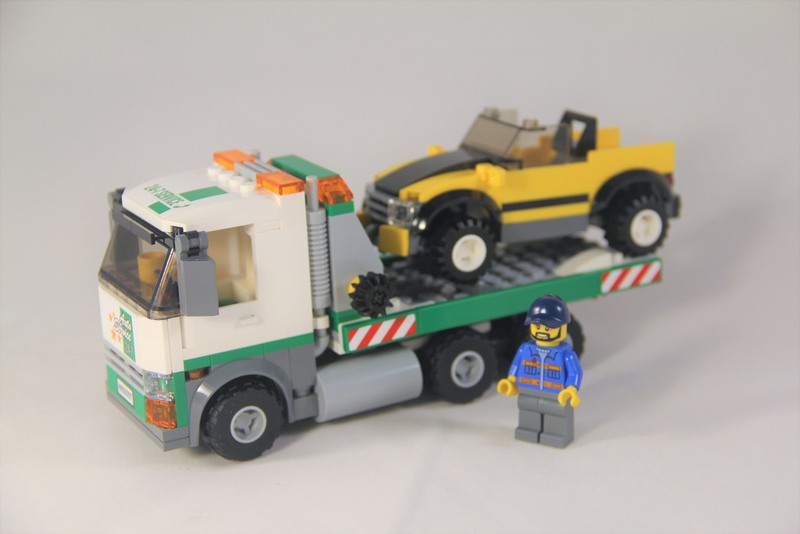 The truck is excellent – it’s great to have this stuff for the collection. I’m also planning on modding this one to make it bigger. I can’t wait! One of my favourite little features is the smallest – the 1932 sticker at the top. Some LEGO fans may not know that 1932 was the year that Ole Kirk Kristiansen established a business in Billund, making wooden toys, among other things. 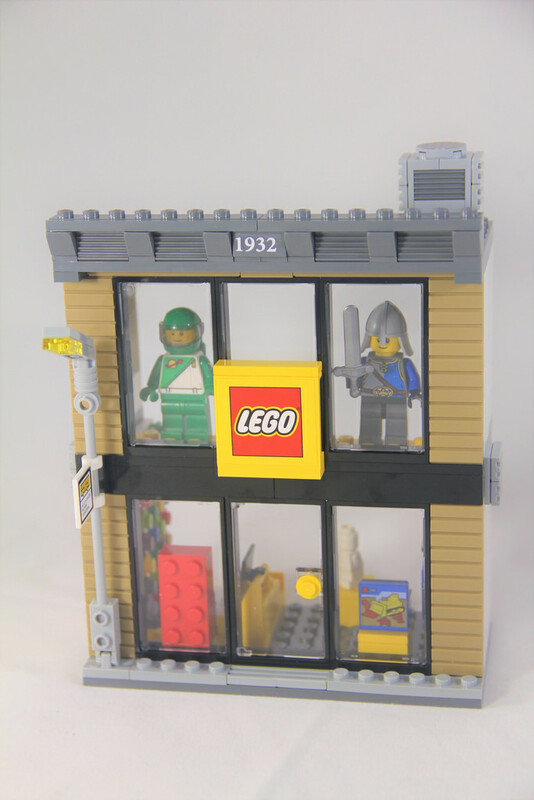 It wasn’t until 1934 that it was called LEGO, but such an awesome nod to the history. The tram is spectacular. It’s long, looks like the real deal, and is bright. The shape is smooth and sleek, and the big windows makes for an enjoyable trip. I love it. 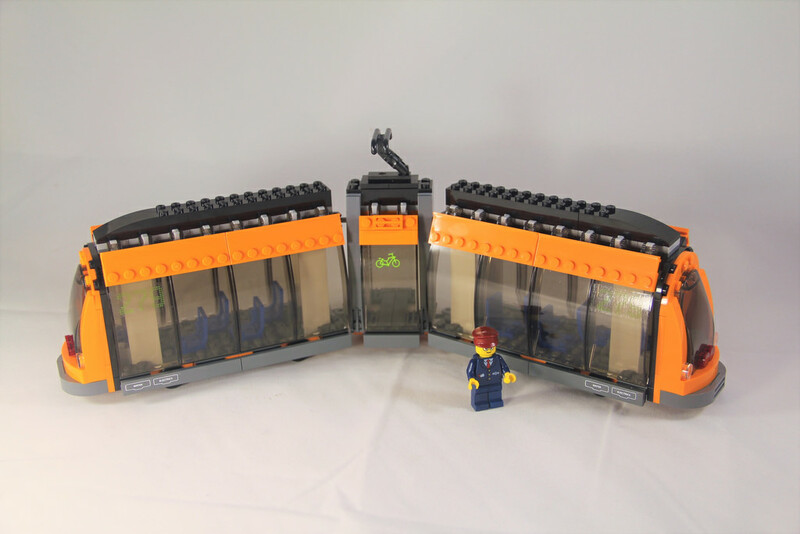 If I had two copies of this set, it would be brilliant to have an extra long tram! Lastly, there’s the news helicopter. To be honest, it’s a bit of a strange addition, but at the same time, it fits. I love the glass section, and was intrigued by the tail’s construction. It wasn’t what I was expecting, but it works. At $250, for that many parts, you’re looking at around 14 cents per element. For the types of goodies you get, that’s great value for money. There’s lots of unique elements, and and excellent range of minifigures. Well worth it. Sure, it’s still a lot of money, but it needs to be weight against what’s included. This set will most likely increase in price once it’s retired, so snap it up now while it’s available at retail. Again, this set scores very highly with collectibility. 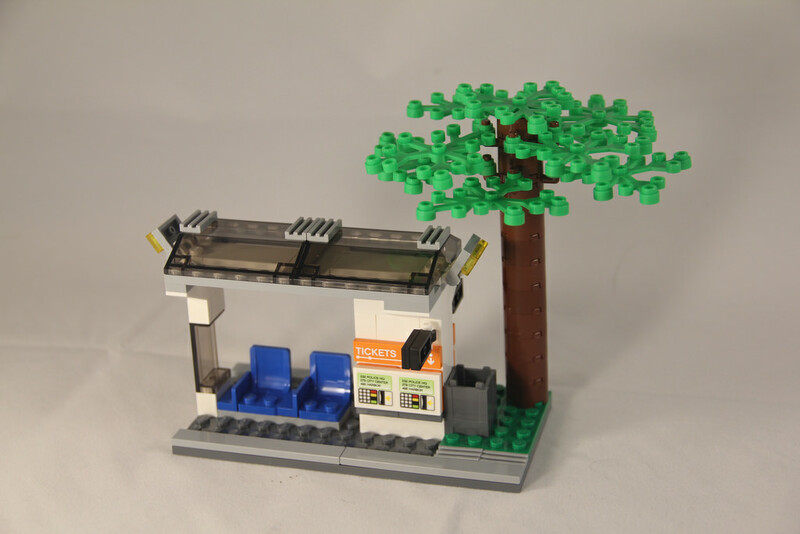 There’s so many great sections to this model – namely the LEGO Shop and the tram, but there’s so much included, it’s different for everyone. As far as trams go, there’s only been one other tram back in 2010 – 8404: Public Transport Station. 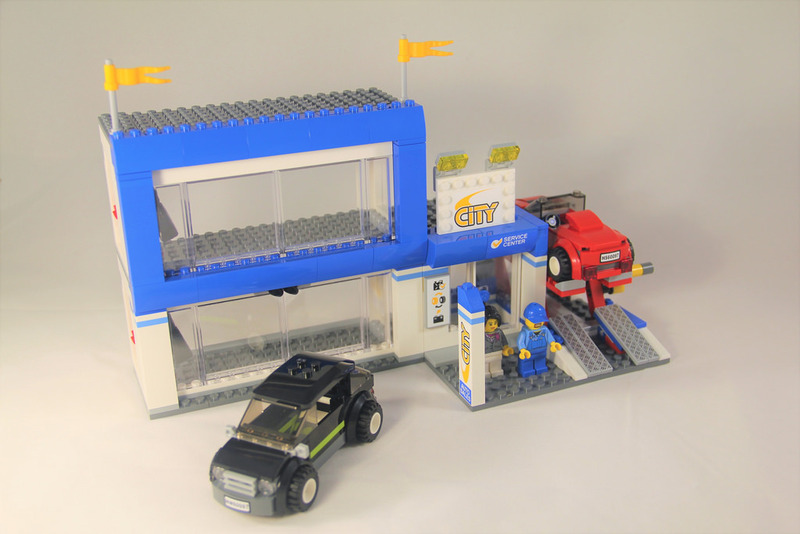 There’s only been four other LEGO Shops as well, so again, this one is worth spending your hard earned cash on. Next week I’m building something I’ve been waiting to get stuck into for ages – 21305: Maze! I’m very excited. What did you think of this week’s set? Do you have it? Let me know in the comments!